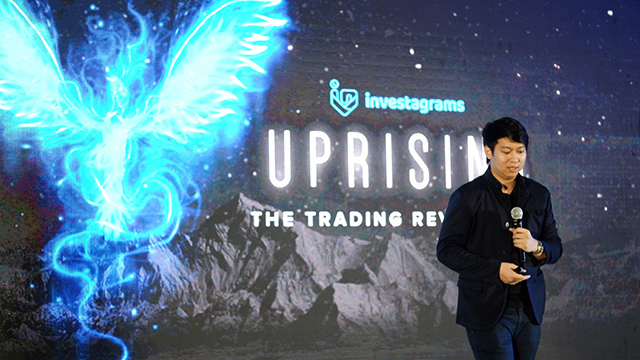 Only in his 20s, Bisnar is the co-founder of Investagrams, an online platform and community that helps stock market investors in the Philippines learn and practice trading strategies with real-time prices without using real money. It’s just as well that John Christian Bisnar, the CEO and co-founder of fintech startup Investagrams, is only 27 years old. He needs the early start to achieve the ambitious goals he and his co-founders, who are even younger than him, have set out for themselves. Investagrams is an online platform and community that helps stock market investors in the Philippines learn and practice trading strategies with real-time prices but without using real money. Founded in 2015, Investagrams has quickly built up a base of more than 200,000 members as of mid-August. The startup is turning itself from a virtual stock trading platform to a stock brokerage as part of its audacious—some would say foolhardy—vision of boosting the number of stock market investors in the country from less than a million to 10 million in 10 years. If the goal looks overly optimistic, it partly stems from Bisnar’s deep disappointment at the low number of equity investors among Filipinos even though the stock market has been around for more than half a century in the Philippines. In fact, Manila was one of the first cities in Asia to put up a stock exchange back in the 1930s. Yet, there are only about 800,000 stock brokerage accounts in the country, roughly equivalent to only 0.7 percent of the Philippine population. That compares to 2.7 percent in Thailand and 5.9 percent in Malaysia. Who is Bisnar and why is he setting near-impossible goals for his fintech startup that richer, older and perhaps wiser stock brokers have failed to accomplish in the past 50 years or so of the Philippine stock market history? 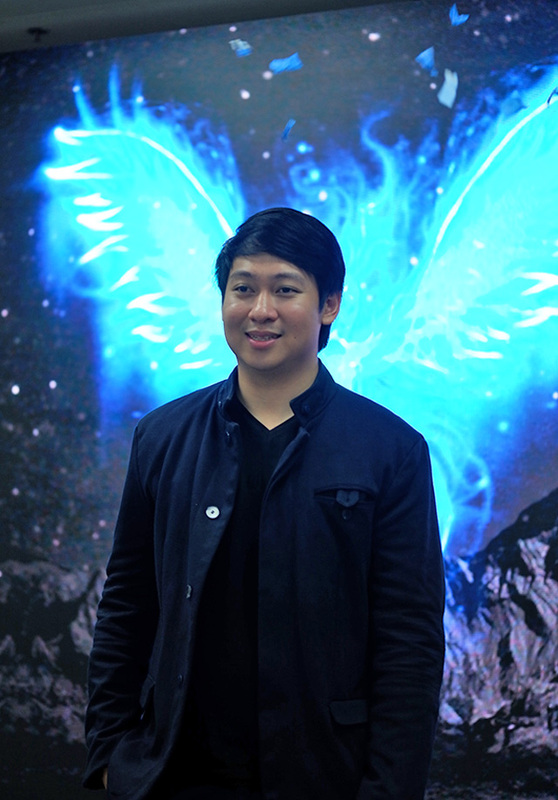 Perhaps that has to do with Bisnar’s unusual entrepreneurial journey, which began when he was just a sixth grader at the Don Bosco Technical Institute in Makati City, the country’s leading technological elementary and secondary school. That was when he realized and eventually decided he wanted to become a trader. Unusually, the realization came after he had been playing the online role-playing game Ragnarok, which is loosely based on Norse mythology. This could be a sign that contrary to many parents’ belief, something good can sometimes come out of computer games. Bisnar immensely enjoyed the game but what he liked best was that he could make money while playing it. He acquired or bought items that he could sell for a higher price later in the game to other players who didn’t have the time or skills to hunt or fight for the possession of the valuable items. “That’s where I first learned the concept of trading and entrepreneurship. I was able to do buy and sell gaming items there—spades, armors, bows. I learned how to earn profits through trading, and just kept on repeating the process,” Bisnar told Entrepreneur Philippines. While the items existed only virtually, the money was real. Through skillful buying or acquisition of valuable items and selling them for much more, he was able to grow his in-game wallet to an amount that he was able to eventually encash for Php20,000 back in the early 2000s. “That was when I realized that whatever I will pursue in my life [will have] something to do with buying and selling,” he recalled. Not surprisingly, when he entered college at the De La Salle University (DLSU)’s main campus in Manila, he chose to study Entrepreneurship, one of the major programs being offered by the College of Business Administration. In his mind, putting up a business represented the quickest route to a reasonably wealthy and comfortable life. He was keen to achieve, at a relatively young age, financial freedom or the state of not having to worry about his and his family’s current and future needs. In college, Bisnar’s other abiding passion apart from video games was varsity sports, reflecting his intensely competitive nature. Relatively tall for his age, he tried out for, and was accepted by, the school’s volleyball team. In high school, he was a member of the basketball team. However, when he suffered a knee injury that prevented him from playing serious sports, he channeled all his youthful and competitive spirit into video games. “So I started looking for other activities where I can transfer my intensity, my competitive drive,” Bisnar recounted. At that time, a new multiplayer online role-playing game (MMORPG) called Allods Online was gaining popularity in Bisnar’s gaming circles. “Since I’ve been a gamer ever since, I said, ‘I'm not just gonna have fun here. I'm gonna be one of the best players.’ My goal was to be the champion,” he added. So he played the game for eight to 12 hours a day and did it with such intensity that he continued to play even though he was doing other stuff like eating or watching television. “I applied the same dedication I had in sports to that game,” he said. In 2010, his efforts paid off. 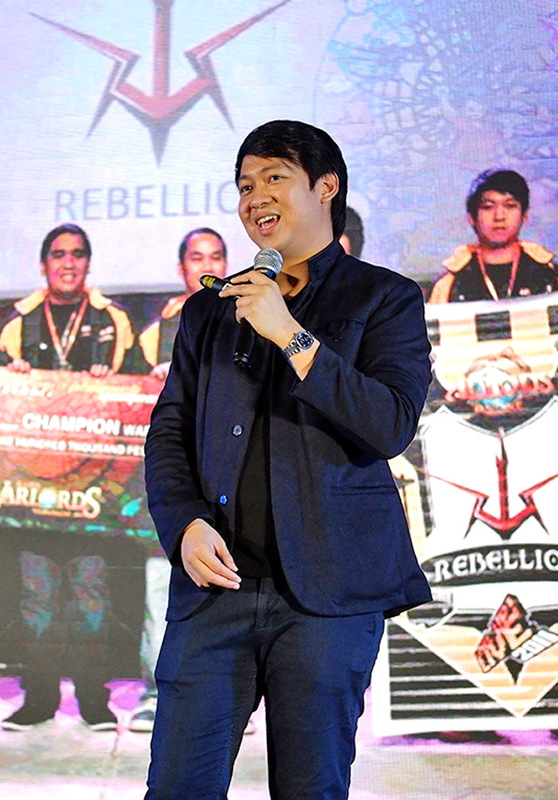 He was part of the team that won a national Allods Online tournament in the Philippines sponsored by the game’s distributor in the country. His share of the prize amounted to Php60,000 in cash and kind. In his second year in DLSU, Bisnar shifted from Entrepreneurship to another program which was also offered by the business college. He said he didn’t relish the prospect of putting up a school-based business and selling stuff during school fairs which was the usual way Entrepreneurhip majors did their practicum in their final year. Thinking his entrepreneurial career could benefit more from working with big corporations for a few years before he set up his own business, he changed course and was accepted in the Applied Corporate Management program. He said it was one of the toughest business programs whose graduates usually found employment in large multinational and local companies in the country. After he was accepted into the ACM program, Bisnar spent a few months interning with the Macquarie Group, a global group providing financial services, including stock brokerage or buying and selling of shares of listed companies in behalf of clients. It was while he was with Macquarie that he was introduced to stock markets, which reminded him, oddly enough, of video games. “I was able to observe stocks like Megaworld, which went from Php1.50 to Php1.80 in just two weeks. That’s when I realized, hey, this is just like a game. I can do this over and over again. It’s just like Ragnarok, because I can see there’s also a pattern. I can see the charts—up, down, up, down. It is just like a game,” he recounted. That encouraged him to create an account with COL Financial, the country’s first online stock brokerage. Using Php25,000 from the cash component of his Allods Online tournament prize, he started buying and selling stocks. In three weeks, he was able to earn Php5,000 because the stocks he chose surged by 10 to 20 percent. His initial wins made him impatient to grow his portfolio. “I realized that if I only have a capital of Php25,000, it will take me a very long time before I can become a millionaire, or achieve financial freedom,” he said. “My goal was to earn at least Php50,000 per trade,” he recalled, estimating that was likely going to be his monthly salary if he worked for a company. “So basically, I visualized that I need to have a capital that’s around Php500,000 to Php1 million so that if I hit 10 percent for every trade, I can earn Php50,000 to Php100,000,” he illustrated. So, in just his second month of trading, Bisnar started going at it aggressively. He looked for investors who could grow his trading capital to Php200,000. By his fourth month, he managed to secure more investors who helped him increase his portfolio to Php600,000. By the end of his first year in trading, when he was only 21 years old, Bisnar’s assets under management finally hit the Php1 million mark. However, Bisnar’s early achievements in the stock market didn’t help his studies. He prioritized trading and put it above his schooling, which resulted in several failed subjects and an extra year in college. While his classmates were busy doing their homework, Bisnar said he thought about trading stocks, which was more rewarding than studying. “It was different. Since I got a taste of [earning money through trading], I started thinking to myself, ‘these people are still doing homework while I earn money just by trading.’ I was like, ‘go ahead, do your homework while I earn Php3,000 to Php20,000 just by making three clicks on my phone’,” he added with a chuckle. The responsibility that came along with managing a portfolio of investors contributed to Bisnar’s intense drive to do well in the stock market. This is why instead of studying for exams, he always used to hit the library of DLSU in his spare time to read up on expensive trading books that he can otherwise not afford: Market Wizards, Reminiscences of a Stock Operator and the like. Ultimately, Bisnar graduated in 2013, which was a year later than expected. He admitted he strived to finish college “out of appreciation” for his parents, who badly wanted him to earn a college diploma. After graduating, he worked briefly for the Manila offices of a couple of international securities brokers—Macquarie and Credit Suisse. However, his stint with these global brokerages was a short one, lasting just about a year. When he eventually left his brokerage job and started trading for his own account, Bisnar said he was able to earn the equivalent of two to three years of his salary in his first six months as full-time trader. That was the moment he realized he made the right call. Today, his trading portfolio consisting of his own funds and those of a few selected clients runs to an eight-digit figure. But for Bisnar, it wasn’t enough to make tons of money through stock market trading. He also strongly felt the urge to share what he learned about buying and selling stocks, particularly the principles of charting or technical analysis, which helped him a lot, with less experienced investors also trying to make money in the stock market. He wrote an anonymous blog under the moniker “Imbang Klase” where he shared his strategies, trades and insights with other stock market traders and investors. Begun while he was still working as a broker, the blog’s name was a combination of the Pilipino phrase “Ibang Klase” (a class of its own) and “Imbalance,” a gaming slang that refers to somebody so good who tends to tilt the balance in his or his team’s favor. The blog soon developed a loyal following not only among stock market investors and traders but also among college students who aspired to follow in Bisnar’s footsteps and earn their first million while in their early 20s. He got frequent invitations to deliver talks on stock market trading in several Metro Manila colleges. In one of his many college talks, Bisnar met two other DLSU alumni, Airwyn Tin and John Michael Lapina, who were also active stock market traders and passionate advocates of sharing their skills and insights with young, would-be investors. A computer programmer, Tin had actually built a web-based virtual stock market trading platform in 2014 that allowed new investors to learn how to trade using real stock market prices but without having to put in actual money. 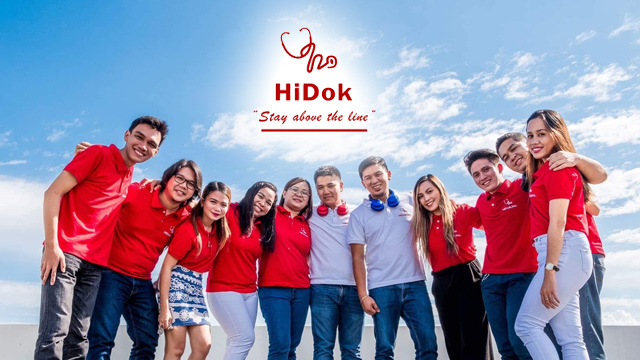 Realizing they all shared the same drive to promote stock market trading as a way for young people to achieve financial freedom, the three DLSU graduates decided to join together and form a company in 2015. Thus, was born Investagrams, which runs the country’s first online virtual stock market trading platform that also simultaneously functions as an active community where both new and experienced stock market traders share experiences and lessons with each other. The company also holds public events, intensive courses on technical analysis as well as virtual stock market competitions. Like many online platforms, Investagrams operates on the basis of a “freemium” business model. It offers basic useful services for free while value added services requires payment or a subscription fee. Examples of free services are real-time monitoring of share prices of Philippine Stock Exchange-listed stocks, market summaries, interactive features for technical and fundamental analysis and a virtual trading system that allows users to simulate real-time buying and selling of stocks. The platform also tracks users’ trading positions in real-time. Fee-based services could include advanced screeners that help users pick stocks to buy or sell based on parameters they will set, automated watchers that alert users via SMS, email or social media when stocks they’ve picked cross certain price points or are the subject of disclosures or news and a trade journal and analytics application that allow users to formulate and track the performance of trading strategies. Explainers and videos on stock market trading are also available for free but events and specialized courses require payments. Slowly but steadily, the platform garnered traction in the local investing community, thanks to its user-friendly interface, interactive features and unique community support. From only 10,000 in 2015, its users grew by leaps and bounds to 52,000 in 2016, 120,000 in 2017 and more than 250,000 as of September 2018. 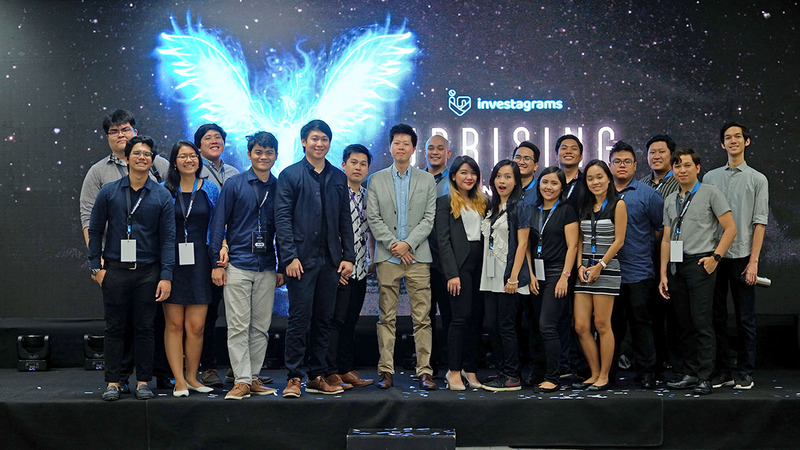 For Bisnar, the rapid growth in Investagrams’ users is a sign that Filipinos are eager and ready to invest in the stock market if given accessible, affordable and reliable online as well as mobile trading platform. This is supported by industry figures. Last year, nine of 10 new broker accounts were online trading accounts, which grew 29 percent to 388,864 in 2017 from 302,516 in 2016. In contrast, traditional brokerage accounts rose by only two percent from 470,671 to 479,946 during the same period. As a result, the proportion of online accounts have doubled from only 22.1 percent in 2013 to 44.8 percent last year. In contrast, the proportion of traditional accounts fell from 77.9 percent in 2013 to only 55.2 percent in 2017. If these comparative growth rates continue, 2018 may see online stock brokerage accounts outnumbering traditional stock brokerage accounts for the first time ever. From only 45 percent of total broker accounts last year, online accounts could go up to 51 percent this year. Indeed, if last year’s growth rates will continue in the next decade, the number of stock brokerage accounts could reach around 6.8 million by 2027. The main challenge facing Investagrams, along with other proponents of more inclusive stock market, is how to push the average yearly growth rate of online accounts from 29 percent to 35 percent for the total number stock market investors to reach over 10 million in 10 years. Given current trends, that goal no longer looks impossible.